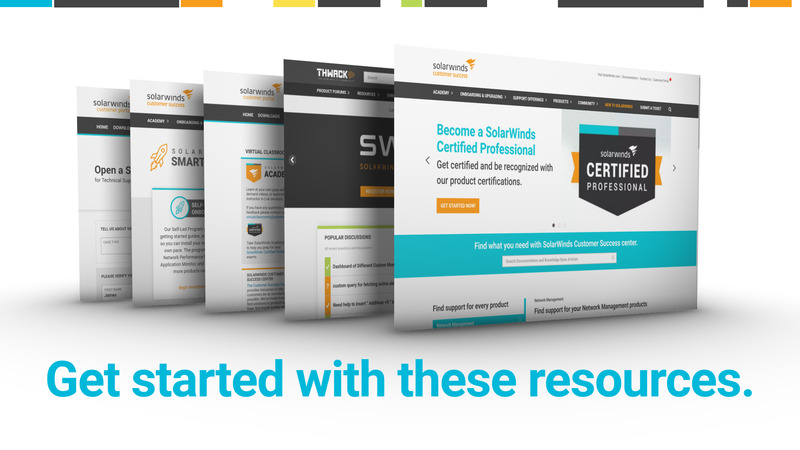 SolarWinds licensed products include one year of maintenance from the date of purchase. Annual maintenance provides tremendous ongoing value at a small fraction of the list price. We recommend that you renew your product maintenance prior to the expiration date to ensure that you will continue to have access to product updates, technical support, and much more. SolarWinds keeps renewals simple, fair, and very affordable. Your IT environment is constantly changing—new devices, new challenges—and our frequent updates and free training help you stay on top of it. Renewing maintenance is far less expensive than purchasing a new license after your maintenance has expired. Have you purchased more than one SolarWinds product? Tracking multiple renewal dates can be a hassle but now you can simplify the renewal process by synchronizing, or “co-terming”, all of your SolarWinds renewal dates. Co-terming enables you to select a single renewal date for all products. It’s a quick process that makes it easy to keep your SolarWinds products up-to-date. Our online Renewals Quote Generator allows you to calculate and plan your budget for future renewals. Log in to your SolarWinds Customer Portal today to access our Calculate Renewal Costs calculator and email a PDF estimate directly to your Finance Team. If you previously purchased maintenance through a reseller, please contact them directly to renew. Log in to your SolarWinds Customer Portal and select “Renew your Maintenance.” Then, click on the “Renew” buttons for each product you would like to renew. It’s that easy! You can forward your company purchase order directly to the Renewals Team. Contact us at renewals@solarwinds.com and we will gladly walk through the renewal order process.